The online travel agents are becoming more powerful day-by-day and they are eating others lunch, especially of hoteliers. The more powerful OTA means higher commission for hotels that lead to lower profit for the hotels and this has become the pain points or bottlenecks for the hoteliers. This is the high time for the hotels to take action to gain market share from the OTA’s to retain their profit percentage. In this case hoteliers are left with two choices either to increase their room rate to maintain their profit or to find out other way where they can increase direct booking maintaining a fair balance with OTAs to get maximum outcome from their revenue strategy. Since hotel business is very price sensitive the first option is little difficult to implement in this competitive market – if a hotel increases its room rate then they may not get business at all. Now the hoteliers are left with the second option and they can better think of increasing direct booking coming from their Brand.com. In last couple of years I’ve been constantly reviewing how the hospitality industry is changing and how hoteliers are looking into more direct business. Here in this article I’d like to suggest three ways in which the hotelier can gain market share from the OTA’s. Responsive Design: You should have a responsive website which should be used in mobile because now a day’s most of the people only use mobile for doing their hotel booking. Content Marketing: The content is powerful. The photo gallery, room details are something what a user look for and content drives new traffic from the search engine. A website with good and organised content always drives more traffic to your website that can convert your potential guest to loyal customers. Meta search is considered to be one of the biggest digital marketing trends for hoteliers in current time. It is anticipated to be the fastest growing method of brand awareness and growth, and hotels should be encouraged to utilize these channels, including them as part of their distribution portfolio. While OTAs continue to lead the third party sales industry, they have one very big disadvantage for hoteliers – bookings are made exclusively through the merchant site, for which the brand will pay a nominal fee. Meta search allows for visitors to book either through OTAs or through the brand website, helping to increase direct sales. 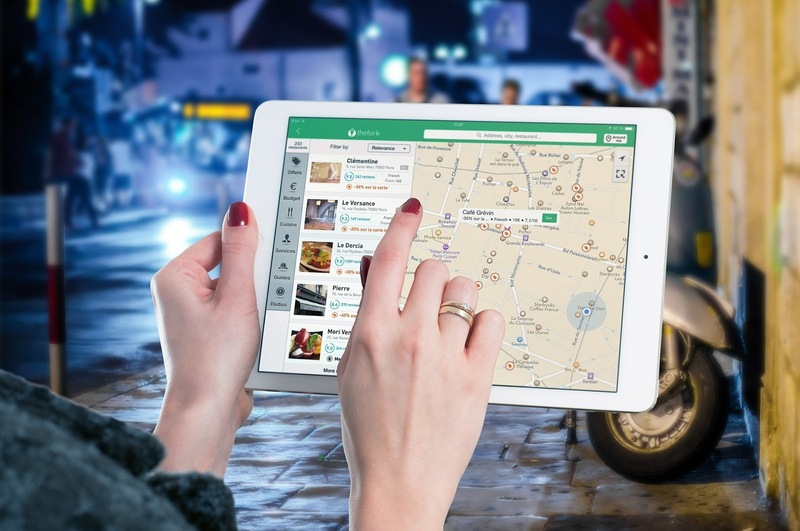 Meta search sites such as TripAdvisor have been criticized for favouring OTAs with which they have a partnership, but direct information is available, which is more than can be said for OTAs themselves. The hotelier should always try to convert the OTA booking into the direct booking. The first step to this can be to have the guest email address and to add him to your loyal customer’s data base. One of the best ways to attract these guests can be emailing them about the special rates and plans of your hotel. In addition to this the hotelier can reply to the comments and reviews of guests on different OTA’s. Replying to the reviews help a lot in increasing the loyalty of your brand and converting them from OTA to direct booking. As technology advances with enormous pace we’ll see more hoteliers will implement a clear balance of direct and OTA strategy to drive more revenue. Oakwood Hospitality Group, the world-class accommodation provider has selected RateTiger Channel Manager for its twelve properties to manage rates and availability across multiple sales channels from single platform. “We are looking at implementing a channel management system that helps us achieve rate parity efficiently. RateTiger will help us save valuable time and give us a better overview of the market, enabling us to concentrate on the strategic aspects of marketing,” said Tabatha Ramsay, Vice President Sales, Marketing and Revenue. The group has 28 properties in 15 cities across eight countries and territories, operates under three brand names Oakwood Premier, Oakwood Residence and Oakwood Apartments which offer distinct guest experiences to cater to different lifestyles. Leveraging RateTiger solutions Oakwood Asia can maximize its revenue opportunity and reduce its distribution costs by quickly and efficiently increasing its distribution reach. As technology advances and the world of social media expands, more and more travelers are turning towards smart phones and tablets to book hotel rooms. eRevMax, the leader in hotel online distribution and channel management solution has released an Infographic “Online Hotel Distribution” to provide hoteliers with upcoming trends backed by relevant data. Travelers who book hotel rooms online are increasingly equipped with smart phones and tablets. The infographic shows 7% of all bookings were generated from mobile and tablet devices in 2013, and this trend will grow by another 20% this year. In 2014, hotel bookings through mobile will contribute over $26 billion. The eRevMax study sheds light on how metasearch sites realized a 13% increase in 2013. Google Hotel Finder, TripConnect and Trivago are becoming a driving force in hotel online distribution as 60% of travellers shop by comparing rates on these sites. To shift market share from the OTAs to direct bookings, hoteliers should utilize metasearch sites as a part of their overall distrbution strategy as it offers better search experience and allows the traveller to find the lowest prices available online. Bookings from OTAs surged ahead with a 12% rise in Q3 2013 and now stands at 13% of overall bookings in North America. It also shows that 33% of all bookings take place at the brand’s website, an increase of 5% in Q3 2013. eRevMax suggests hoteliers work with OTAs to increase revenues and implement reputation management solutions for quick responses to their guests. Another important tip by the hotel solutions provider is to leverage the billboard effect, defined as the increase in offline bookings of a property when it is listed with an Online Travel Agency (OTA). An experiment conducted by Cornell University observed that one of the participant hotels experienced an impressive 14% increase in direct bookings when it contracted with an OTA. Besides, Average Daily Rate (ADR) increased by 1.5% during OTA listing of the same property. In this world of social media, SEO and analytics, failure to adopt digital platforms in their marketing strategy is suicidal for hotels. The data shows that 81% of tech-savvy travellers find user reviews important, while 49% travellers book hotel only after reading reviews. Nearly 21% used Facebook to search for hotel information at least once while 14% of travellers use the Facebook platform to book a hotel room. Hence, it is imperative that hotels take social-commerce seriously.